London - Meghan Markle's mother Doria Ragland has had a series of whirlwind visits with senior royals since her arrival from California. Palace officials said Harry and Meghan Markle were also present, and that the meeting was followed by a rehearsal dinner. Ragland also had tea with Harry's father Prince Charles and his wife Camilla on Wednesday. She has not yet met Harry's grandmother, Queen Elizabeth II, but Buckingham Palace officials said she will meet the queen for tea on Friday at Windsor Castle. Officials did not say if Prince Philip, the queen's husband, will be present at that meeting. He is recovering from hip replacement surgery. 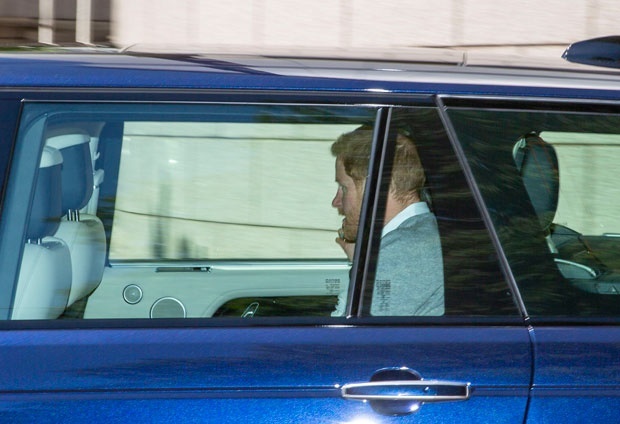 Harry and Meghan, who have remained out of the public eye in recent days, were spotted being driven onto the grounds of Windsor Castle on Thursday afternoon. Follow Royal News for all the royal wedding live coverage.